For a taste of Jiangnan and its food, head down to the Tai Kwun Centre for Heritage and Arts. Once the Central Police Station, it’s been renovated into a stunning building where you can dine in comfort and style. The Jiangnan region includes cities like Shanghai, Nanjing, Suzhou and others lying south of the river. The food at Old Bailey is unique and creative, but still respectful of traditional methods. Start your meal with an amuse-bouche of Pickled Radish to stimulate your appetite. The tart radishes are the perfect opening for your gastronomic journey to Jiangnan! The Longjing Tea Smoked Pigeon showcases the distinctively rich and gamey taste of pigeon meat. On the other hand, the sweet, fragrant deep-fried tea leaves provide lightness to keep the dish well-balanced. Another highlight is the Mala Iberico Pork Xiaolongbao. Premium Iberico pork, full of rich flavour and natural sweetness, brings the dumplings to divine heights. Paired with the punchy Sichuan peppercorns and myriad of other spices, the dumplings are an addictive dish you simply can’t get enough of. Next up, Old Bailey brings you their Ten Treasure Duck, dressed with a rich reduction. 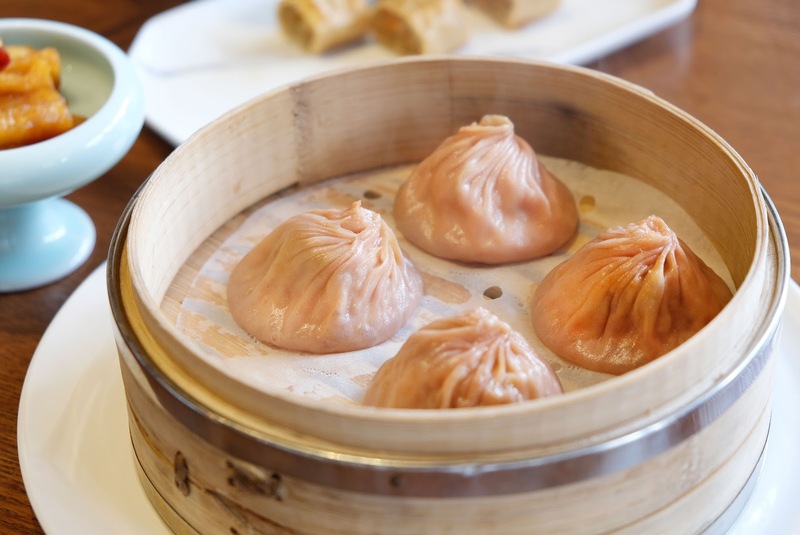 Think Shanghai’s classic Eight Treasure Duck, but even better. Looking for more traditional options? Try the Supreme Hangzhou Duck Soup, Jinhua Ham, Hand-Pounded Fishballs. The fish balls are made of grass carp, which gives a unique freshness to the dish. Their Sauteed River Shrimp with Sweet Pea also makes for a delightful experience. The shrimps come with their tails still intact! The spectacular burst of bright red and green is a feast for the eyes as well. Vegetarians will find something to eat too! A simple yet tasty dish, the Village-Style House Made Handkerchief Pasta With Seasonal Organic Greens is healthy, wholesome, and oh-so-delicious. And how could we possibly forget about the dessert? You know, the thing everyone has a second stomach for! The Eight Treasure Rice (sweet glutinous rice with fruit and house-made Osmanthus syrup) gives this traditional dish an intriguing twist. By replacing the red dates, lotus seeds and red beans with dried fruit, the sweet and colourful dessert is a must-try. 【Limited time offer】Enter the promo code OBX2 when you Chope and dine in Old Bailey to earn 2X Chope-Dollars! Offer is valid from now to 13 August 2018. In cases of any disputes, Chope reserves the right to make the final decision.